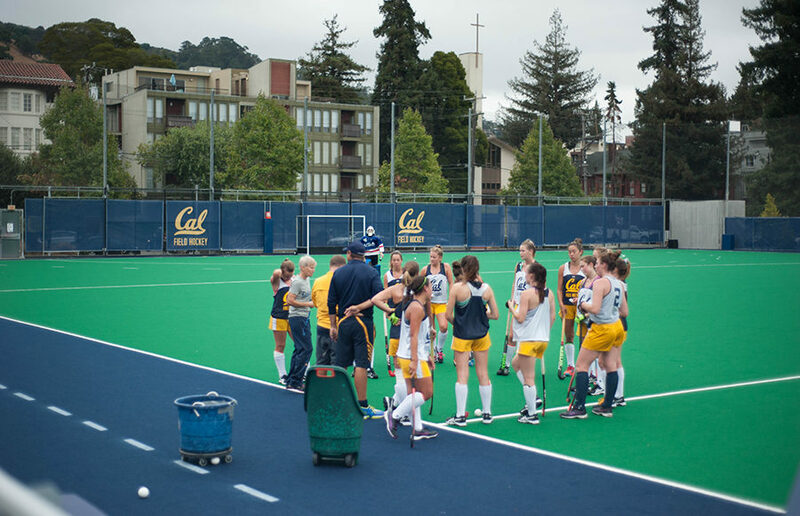 For the first time in memory, UC Berkeley agreed in March to be placed under indefinite federal Title IX monitoring as a result of an investigation into alleged Title IX violations against the Cal women’s field hockey team. The resolution agreement, previously undisclosed but obtained by The Daily Californian, put UC Berkeley under monitoring by the U.S. Department of Education’s Office for Civil Rights, or OCR, until it establishes that it is in compliance with Title IX — the law mandating gender equity in college athletics. The agreement stemmed from an OCR investigation into the campus field hockey team, which did not have a home field for two consecutive seasons. As a part of the agreement, the campus had to finish construction of the field hockey facilities at Underhill Field. The campus believes this portion is completed, but it has not yet received confirmation from all parties. The campus has to prove to OCR that men’s and women’s sports have access to comparable competition and practice facilities, and if they do not, the campus has to construct the necessary improvements. The campus is also required to prove it brands and publicizes men’s and women’s sports equally, and if it does not, it is required to make and implement a plan to do so. On top of that, it must also prove to OCR that it allocates recruitment funds equitably. The monitoring will last until OCR determines that UC Berkeley is in compliance. To enforce the agreement, OCR representatives will visit UC Berkeley to interview staff, students and patrons. An OCR agent visited Underhill Field two weeks ago to inspect the improvements made to the field. Another representative visited campus in July 2016 as well. The team played at Maxwell Family Field until 2013, when it was converted into a football practice field without a plan for a new field hockey space. 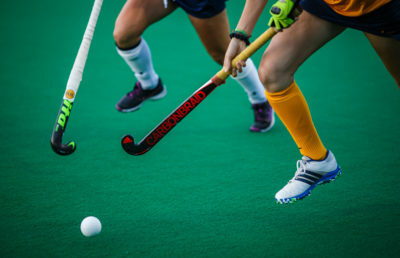 For two seasons, the field hockey team played all of its home games at off-campus fields, while practicing on a smattering of fields ranging from Stanford University’s field to the converted roof of the Upper Hearst parking garage on campus. In May 2015, the OCR opened an investigation into the situation after six players filed a complaint. 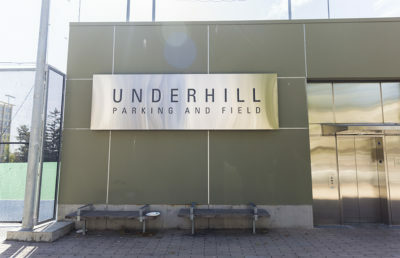 The players and the campus eventually signed a settlement separate from the OCR agreement which required that the campus make Underhill Field into a fully equipped field hockey facility. Campus missed multiple completion deadlines for the settlement, which left it open to additional litigation. The players’ settlement was completed by Sept. 1, according to campus officials and Jennifer Reisch, the attorney for six field hockey players who filed a Title IX complaint against the campus. To complete the players’ agreement, the campus recently installed new stands, team rooms, storage and branded wind screens on the field, as well as a number of smaller items. The total multi-year cost of turning Underhill Field into a field hockey field was an estimated $7.5 million to $8 million, according to campus spokesperson Dan Mogulof. The campus did not admit any wrongdoing in the OCR agreement, which was signed March 2 by campus athletic director Mike Williams and UC general counsel Charles F. Robinson. “The amount of money the school spends on women’s sports is nothing compared to football, baseball and men’s basketball,” said Nancy Hogshead-Makar, CEO of Champion Women, a national Title IX lawyer and three-time Olympic gold medal winner. 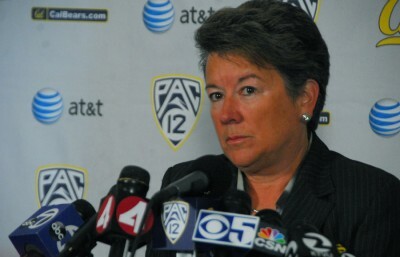 She added that female student-athletes at UC Berkeley lose out on over $2 million in scholarships each year because they are women. The monitoring adds to the ongoing troubles of the campus athletic department, which is saddled with over $400 million in debt — the most of any athletic department in the country. As the campus enacts wide-ranging budget cuts, Cal Athletics’ large deficit and debt have fallen under scrutiny from campus officials. The campus is currently considering cutting teams as a part of budget cuts, which could complicate its efforts to comply with Title IX. Chancellor Carol Christ was not immediately available for comment, as she is returning from a UC Board of Regents meeting in San Diego. Austin Weinstein covers academics and administration. Contact him at [email protected] and follow him on Twitter at @austwein.